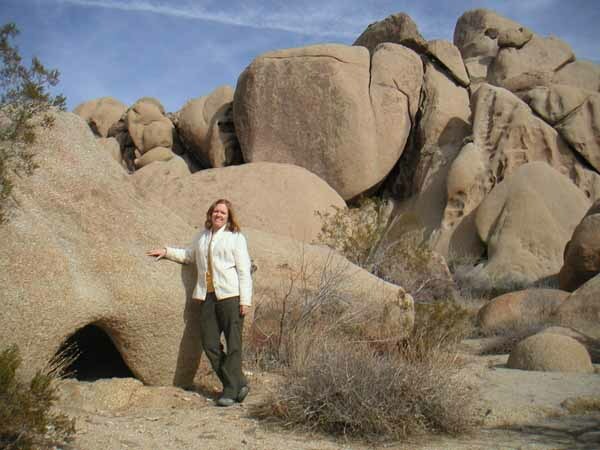 Another rewarding but long day trip: this time to the north side of Joshua Tree National Park. It was still cool after all the rains – the Pineapple Express that hit southern California. The sky was clear and we were ready to explore. 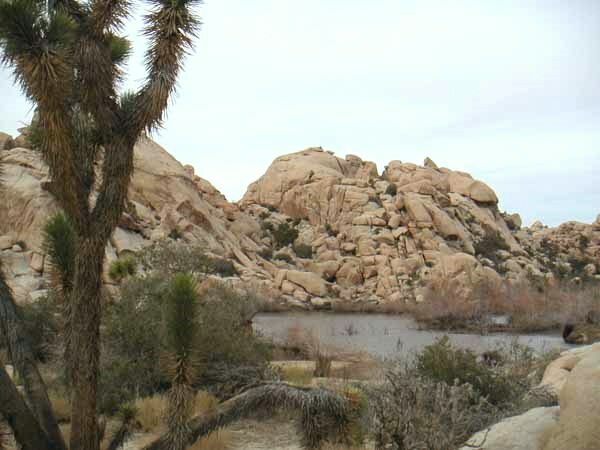 The ranger said it is a bit unusual to have water at the Barker Dam. 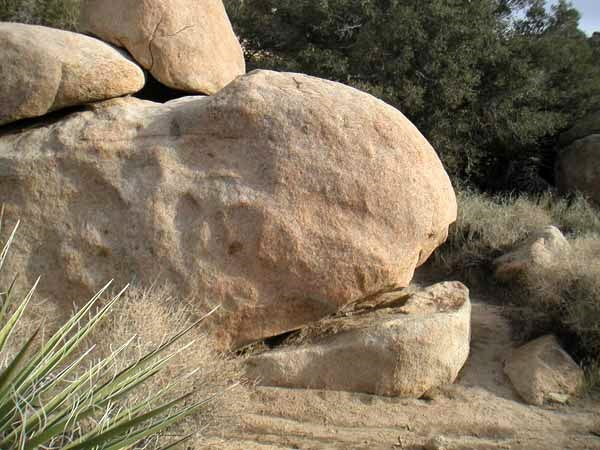 We did not see any of the desert tortoise but they like to come out when it rains. It got very overcast and the wind picked up and we were quite chilled. Everyone on the ranger walk had on hats, gloves, and coats. 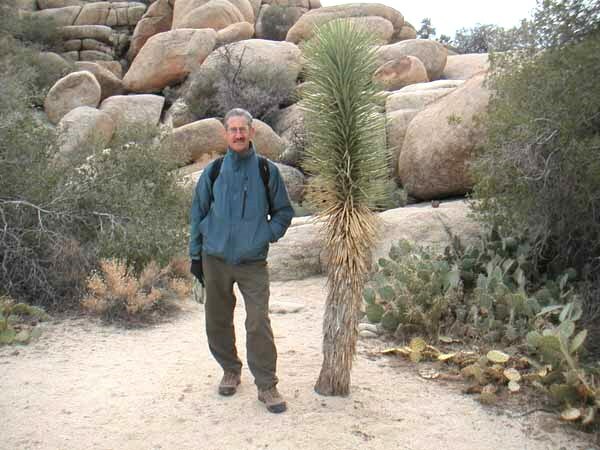 Definitely cooler in this higher elevation: this part of the park being in the Mojave Desert. 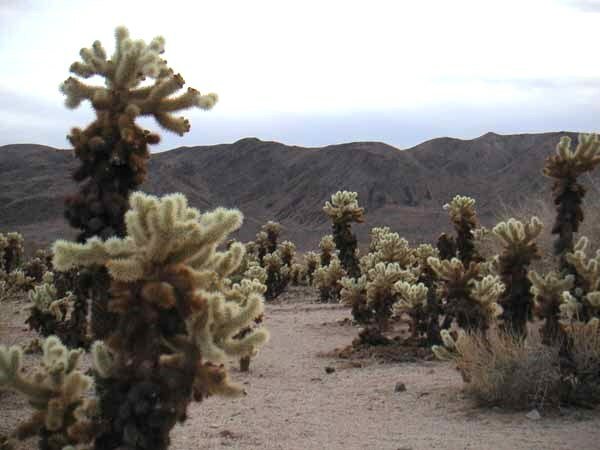 The large cholla cactus garden is in the transition zone between the Mojave and Sonoran desert. This was really a special place to experience: these are the teddy bear or jumping type. I had never seen so many at one time – really worth stopping and taking a look. Thanks Maria for the recommendation to go at sunset though it had clouded over a bit but still more of a glow than at mid day.